This look was simple to do but pretty time consuming. 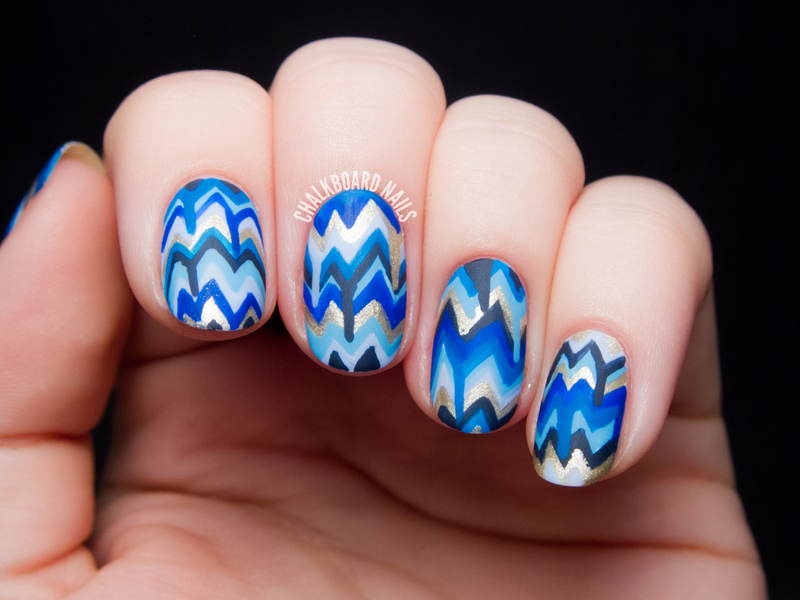 Each chevron was painted freehand with a small nail art brush, and then at the end, I extended a few of the chevron points into drips. I sealed everything in with glossy topcoat and then, after that was mostly dry, finished off the manicure with a matte topcoat. These look awesome! 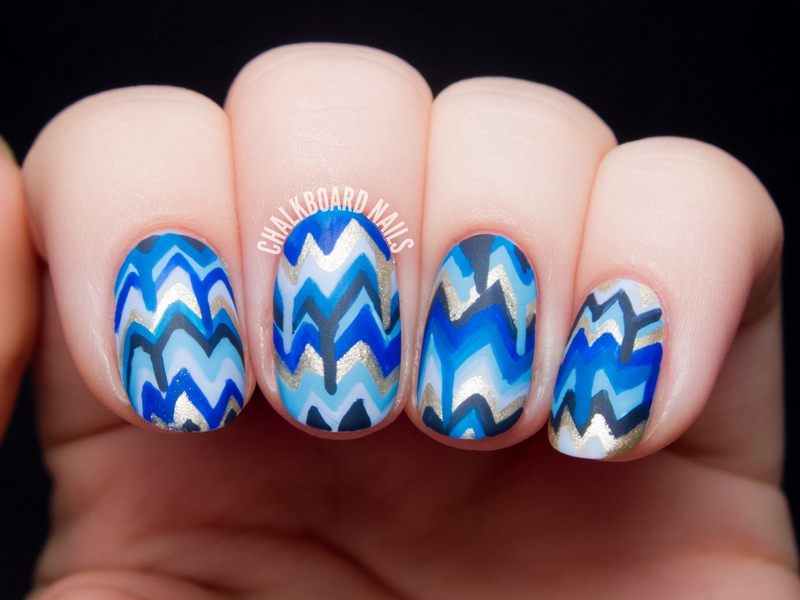 I like that you turned something like chevrons and made it into dripping chevrons! 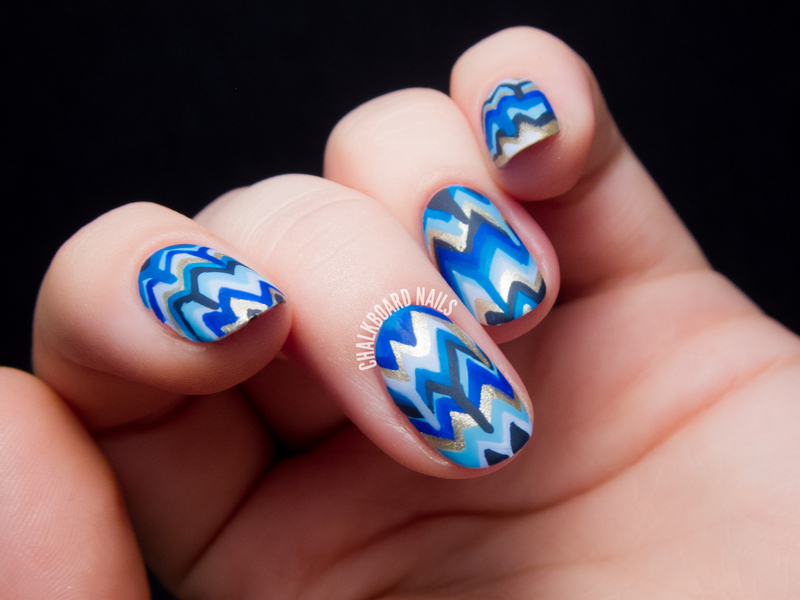 Sadly I can't take credit for the idea -- but I love the way they turned out nonetheless! The good thing about the inspiration image was that it was kinda brushy and painterly, so precision wasn't a requirement! Just found your blog, Nice post in an interesting line of content.Thanks for sharing this article . Its really good about nails caring and nails product and i want something share with others may be its provide great help for you. I'm not sure I had, either! Thanks! This is great, and looks so real that the OCD part of me wants to wipe up the drips! Awesome art! This is great! So unique! Love this effect and the drops.....*-*! 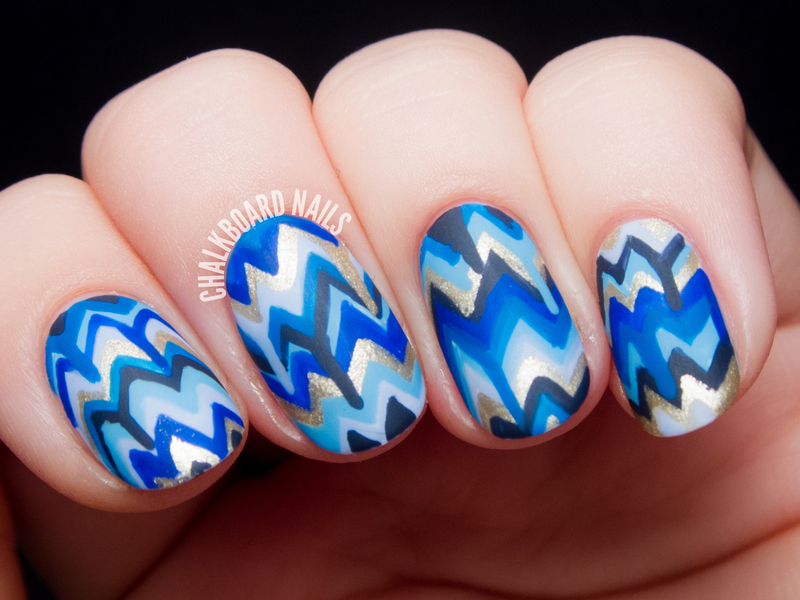 Awww this is soo cool *___* love love love it!